Rooms for Rent House Share from $130 per week No Bond No Bills No Contract, we only want you to stay if you are happy. These COMFORTABLE FURNISHED rooms (SEE PICTURES) are in a group of houses (SEE PICS) you can move house to house to get settled. EVERY ROOM HAS A TV, CLOCK RADIO, FULL SIZED FRIDGE FREEZER, Q/S BED AND BEDDING, WELCOME PACKAGE AND DOOR LOCK . Places are in Salisbury, Playford, Elizabeth &amp; Davron Park near Craigmore, Blakeview, Munno Para, Hillbank &amp; Andrews Farm. We have FREE off street parking and storage. Share Kitchens have stoves, TOASTERS, grillers, MICROWAVE COOKERS, INBUILT KETTLES , pancake makers and pots and pans. The Laundries have AUTOMATIC WASHING MACHINES. There are FREE books, magazines and board games etc. Outside the gardens have shelters and FREE BIG GAS BBQs. The bus, train and shops are nearby. There is a 24 hour secretary on call. The Houses are visited at least once a week by the General Manager to inspect and fix any problems and also the House Manager who collects the rent. You can direct deposit or centrepay (with rent assistance). The House Manager will help you with the paperwork. Contact us to enjoy the sort of well managed rooms you are looking for. Mr Conrad William Isterling Dip.T.Sec. Memb. ACER General Manager LOCAL INFORMATION - THE PLAYFORD/ELIZABETH/SALISBURY AREA There are $10 a session MOVIE THEATRES in two main shopping centres and food courts having Australian pies, pasties, pork pies, beef cuts, chips, rolls and salads. Italian pasta, Indian curries, Greek Mediterranean, Japanese sushi and miso, Vietnamese and Thai spring rolls and chilly food, Kentucky fried chicken and pretzels. There are novelty, shoe and clothes shops and big stores. There is FREE WIFI AND INTERNET COMPUTERS in the big LIBRARIES . There is an INDOOR HEATED Olympic size SWIMMING POOL with water slide and spa. There is a bowling alley, darts club, basketball clubs, tennis clubs, cricket clubs, soccer, rugby, squash, badminton, cycling, yoga, tai chi, dancing and walking clubs. There are gardens with a main park with water features and walking trails. There are two main hospitals and lots of nearby medical centres. There are Tafe Colleges and a nearby University. Elizabeth is home of the "Bulldogs" and an "Adelaide United" soccer training ground also enormous lawn bowel grounds and massive tennis courts. Within ten minutes walking distance, train and bus lines run up and down the length of the towns continuing to Adelaide 30 minutes and Gawler 15 minutes by train. Easy to get around and plenty to see and do! See you soon! Conrad and staff.. 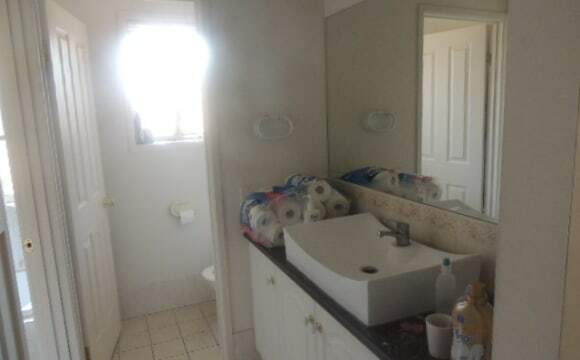 The property includes 2 toilets, unlimited NBN, house has air con, work shop, a big back yard, security system, The lounge room has a tv with Netflix, also the Lounge room has a split system reverse cycle air con. 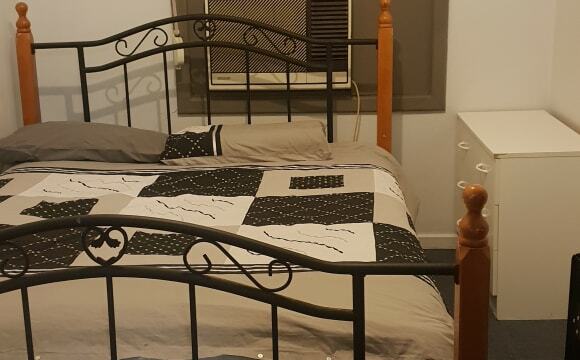 1 street away to the 228 bus stop that takes you straight to the city, 15 minute walk to Elizabeth shopping centre, 5/7 minute walk from freemount park and a 2 minute walk from take away shops.the room has just had carpets replaced, and new celling fan installed. 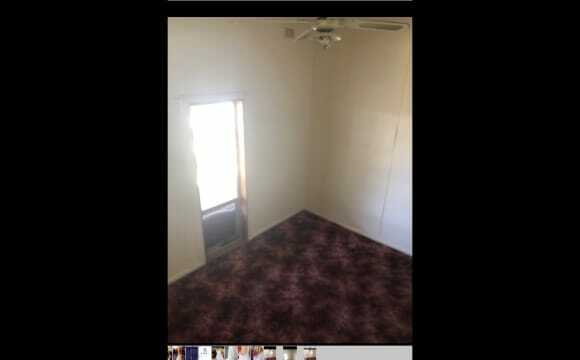 Rooms for Rent House Share from $130 per week No Bond No Bills No Contract we only want you to stay if you are happy. 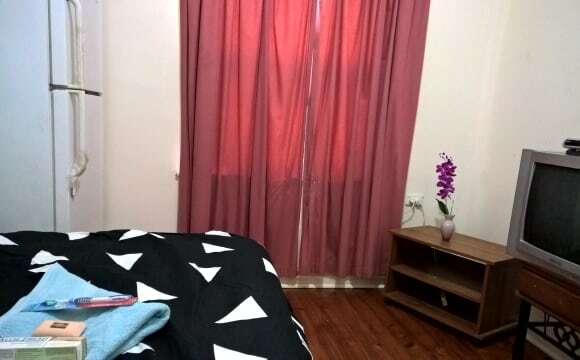 These COMFORTABLE FURNISHED rooms (SEE PICTURES) are in a group of houses (SEE PICS) you can move house to house to get settled. EVERY ROOM HAS A TV, CLOCK RADIO, FULL SIZED FRIDGE FREEZER, Q/S BED AND BEDDING, WELCOME PACKAGE AND DOOR LOCK . Places are in Salisbury, Playford, Elizabeth &amp; Davron Park near Craigmore, Blakeview, Munno Para, Hillbank &amp; Andrews Farm. We have FREE off street parking and storage. Share Kitchens have stoves, TOASTERS, grillers, MICROWAVE COOKERS, INBUILT KETTLES , pancake makers and pots and pans. The Laundries have AUTOMATIC WASHING MACHINES. There are FREE books, magazines and board games etc. Outside the gardens have shelters and FREE BIG GAS BBQs. The bus, train and shops are nearby. There is a 24 hour secretary on call. The Houses are visited at least once a week by the General Manager to inspect and fix any problems and also the House Manager who collects the rent. You can direct deposit or centrepay (with rent assistance). The House Manager will help you with the paperwork. Contact us to enjoy the sort of well managed rooms you are looking for. Mr Conrad William Isterling Dip.T.Sec. Memb. ACER General Manager LOCAL INFORMATION - THE PLAYFORD/ELIZABETH/SALISBURY AREA There are $10 a session MOVIE THEATRES in two main shopping centres and food courts having Australian pies, pasties, pork pies, beef cuts, chips, rolls and salads. Italian pasta, Indian curries, Greek Mediterranean, Japanese sushi and miso, Vietnamese and Thai spring rolls and chilly food, Kentucky fried chicken and pretzels. There are novelty, shoe and clothes shops and big stores. There is FREE WIFI AND INTERNET COMPUTERS in the big LIBRARIES . There is an INDOOR HEATED Olympic size SWIMMING POOL with water slide and spa. There is a bowling alley, darts club, basketball clubs, tennis clubs, cricket clubs, soccer, rugby, squash, badminton, cycling, yoga, tai chi, dancing and walking clubs. There are gardens with a main park with water features and walking trails. There are two main hospitals and lots of nearby medical centres. There are Tafe Colleges and a nearby University. Elizabeth is home of the "Bulldogs" and an "Adelaide United" soccer training ground also enormous lawn bowel grounds and massive tennis courts. Within ten minutes walking distance, train and bus lines run up and down the length of the towns continuing to Adelaide 30 minutes and Gawler 15 minutes by train. Easy to get around and plenty to see and do! See you soon! Conrad and staff. Hello! Looking for a housemate as my current housemate is moving in with their partner!! Included is the following: - 1 room for your bedroom - Bathroom - Seperate shower/bath/toilet - NBN internet - remote control garage for your car - access to kitchen/family with Netflix - access to laundry facilities - a hardworking housemate The property is in the new estate Sanctuary Rise. Lovely views of the hills and a park across the road. Sorry but no pets Available from May. I keep a clean and tidy house which is located close to buses and trains, cinema and both Elizabeth and Munno Para Shopping Centres. I have a 3 bedroom townhouse all bedrooms are upstairs. Shared lounge room, kitchen, dine, laundry, bathroom and downstairs toilet. BBQ for use outdoors and undercover decking area. Off street parking available. Smoking permitted outside only. Tennant to clean up after themselves and do own cooking. Safe and secure location. Cosy and comfortable room. Close to shops and public transport. 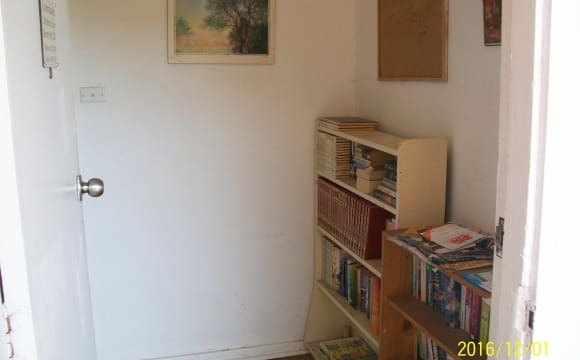 Clean tidy house, very homely and close to shops and transport. Rooms for Rent House Share from $130 per week No Bond No Bills No Contract, we only want you to stay if you are happy. 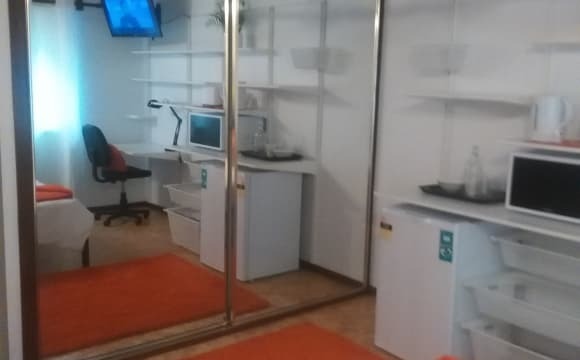 These COMFORTABLE FURNISHED rooms (SEE PICTURES) are in a group of houses (SEE PICS) you can move house to house to get settled. EVERY ROOM HAS A TV, CLOCK RADIO, FULL SIZED FRIDGE FREEZER, Q/S BED AND BEDDING, WELCOME PACKAGE AND DOOR LOCK . Places are in Salisbury, Playford, Elizabeth &amp; Davron Park near Craigmore, Blakeview, Munno Para, Hillbank &amp; Andrews Farm. We have FREE off street parking and storage. Share Kitchens have stoves, TOASTERS, grillers, MICROWAVE COOKERS, INBUILT KETTLES , pancake makers and pots and pans. The Laundries have AUTOMATIC WASHING MACHINES. There are FREE books, magazines and board games etc. Outside the gardens have shelters and FREE BIG GAS BBQs. The bus, train and shops are nearby. There is a 24 hour secretary on call. The Houses are visited at least once a week by the General Manager to inspect and fix any problems and also the House Manager who collects the rent. You can direct deposit or centrepay (with rent assistance). The House Manager will help you with the paperwork. Contact us to enjoy the sort of well managed rooms you are looking for. Mr Conrad William Isterling Dip.T.Sec. Memb. ACER General Manager LOCAL INFORMATION - THE PLAYFORD/ELIZABETH/SALISBURY AREA There are $10 a session MOVIE THEATRES in two main shopping centres and food courts having Australian pies, pasties, pork pies, beef cuts, chips, rolls and salads. Italian pasta, Indian curries, Greek Mediterranean, Japanese sushi and miso, Vietnamese and Thai spring rolls and chilly food, Kentucky fried chicken and pretzels. There are novelty, shoe and clothes shops and big stores. There is FREE WIFI AND INTERNET COMPUTERS in the big LIBRARIES . There is an INDOOR HEATED Olympic size SWIMMING POOL with water slide and spa. There is a bowling alley, darts club, basketball clubs, tennis clubs, cricket clubs, soccer, rugby, squash, badminton, cycling, yoga, tai chi, dancing and walking clubs. There are gardens with a main park with water features and walking trails. There are two main hospitals and lots of nearby medical centres. There are Tafe Colleges and a nearby University. Elizabeth is home of the "Bulldogs" and an "Adelaide United" soccer training ground also enormous lawn bowel grounds and massive tennis courts. Within ten minutes walking distance, train and bus lines run up and down the length of the towns continuing to Adelaide 30 minutes and Gawler 15 minutes by train. Easy to get around and plenty to see and do! See you soon! Conrad and staff. This is a clean three bedroom property of which you will have two, one is a fully furnished double bedroom the other is fully furnished (T.V. recliners heater soft furnishings) etc. 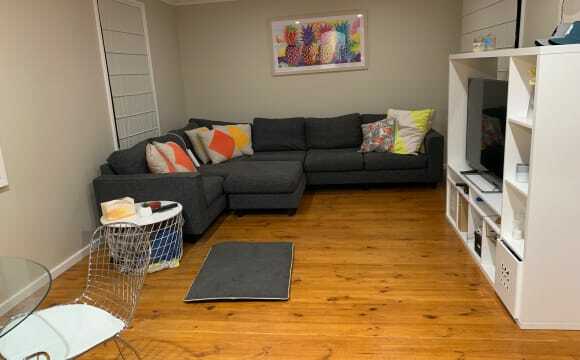 as a seperate (from mine) lounge room. Ducted air conditioning, heating, wi-fi. A second toilet for your exclusive use. 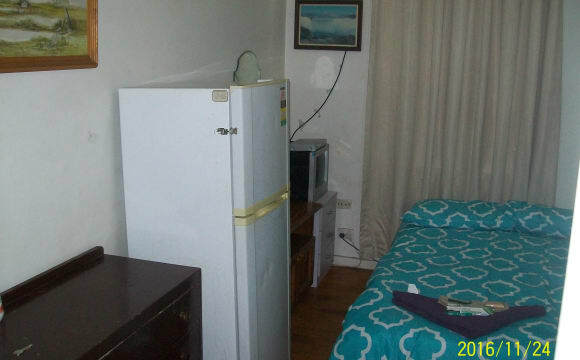 A second fridge for your exclusive use. Off street parking, bus stop outside the front door. Rooms for Rent House Share from $130 per week No Bond No Bills No Contract, we only want you to stay if you are happy. These COMFORTABLE FURNISHED rooms (SEE PICTURES) are in a group of houses (SEE PICS), you can move house to house to get settled. EVERY ROOM HAS A TV, CLOCK RADIO, FULL SIZED FRIDGE FREEZER, Q/S BED AND BEDDING, WELCOME PACKAGE AND DOOR LOCK . Places are in Salisbury, Playford, Elizabeth &amp; Davron Park near Craigmore, Blakeview, Munno Para, Hillbank &amp; Andrews Farm. We have FREE off street parking and storage. Share Kitchens have stoves, TOASTERS, grillers, MICROWAVE COOKERS, INBUILT KETTLES , pancake makers and pots and pans. The Laundries have AUTOMATIC WASHING MACHINES. There are FREE books, magazines and board games etc. Outside the gardens have shelters and FREE BIG GAS BBQs. The bus, train and shops are nearby. There is a 24 hour secretary on call. The Houses are visited at least once a week by the General Manager to inspect and fix any problems and also the House Manager who collects the rent. You can direct deposit or centrepay (with rent assistance). The House Manager will help you with the paperwork. Contact us to enjoy the sort of well managed rooms you are looking for. Mr Conrad William Isterling Dip.T.Sec. Memb. ACER General Manager LOCAL INFORMATION - THE PLAYFORD/ELIZABETH/SALISBURY AREA There are $10 a session MOVIE THEATRES in two main shopping centres and food courts having Australian pies, pasties, pork pies, beef cuts, chips, rolls and salads. Italian pasta, Indian curries, Greek Mediterranean, Japanese sushi and miso, Vietnamese and Thai spring rolls and chilly food, Kentucky fried chicken and pretzels. There are novelty, shoe and clothes shops and big stores. There is FREE WIFI AND INTERNET COMPUTERS in the big LIBRARIES . There is an INDOOR HEATED Olympic size SWIMMING POOL with water slide and spa. There is a bowling alley, darts club, basketball clubs, tennis clubs, cricket clubs, soccer, rugby, squash, badminton, cycling, yoga, tai chi, dancing and walking clubs. There are gardens with a main park with water features and walking trails. There are two main hospitals and lots of nearby medical centres. There are Tafe Colleges and a nearby University. Elizabeth is home of the "Bulldogs" and an "Adelaide United" soccer training ground also enormous lawn bowel grounds and massive tennis courts. Within ten minutes walking distance, train and bus lines run up and down the length of the towns continuing to Adelaide 30 minutes and Gawler 15 minutes by train. Easy to get around and plenty to see and do! See you soon! Conrad and staff. Quiet location, elderly neighbours, close proximity to transport, shops and takeaways. Off street parking, rear garden (quite large for a unit). Fully enclosed lockable garage, small shed, pergola and small green house. Only apply if you are good with dogs. I have a great spacious modern share house. 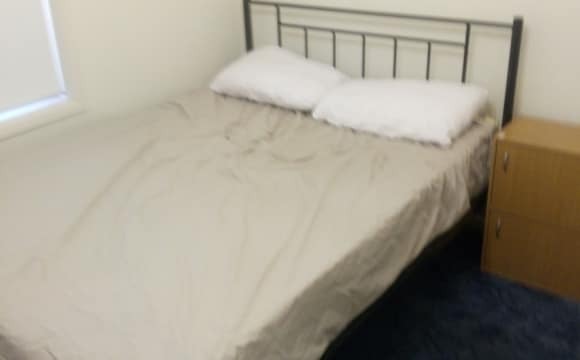 I am looking for an individual to share a room. The house is kept neat and tidy. It has an open plan kitchen and dinning area. It has a dishwasher, gas top stove/oven and air conditioner. The room available is a standard bedroom with a B.I.R. You will have you’re own toilet and bathroom. Shops are within walking distance. The house is alarmed and each window has its own key and lock. Looking for a mature working person. Message to inspect house and discuss details. I am only looking for one person to share. Please contact me if you would like to view the house. The kitchen/dinning area is fully furnished. Bringing your own furniture is optional because the house already has a majority of it furnished. 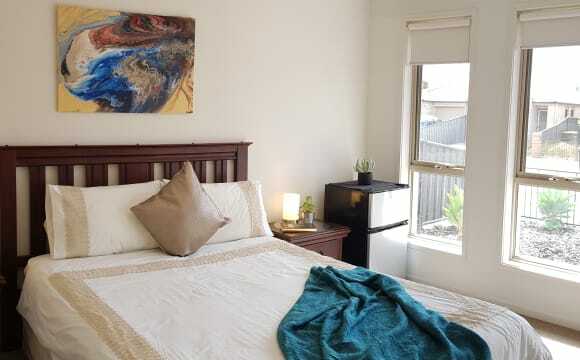 Located in a secured and gated community of Playford Grove, this is perfect for students looking to study in Adelaide. Close to public transport, the property is only a 5 minute walk from the nearest bus stop and 10 minutes from the train station. All utilities are included including internet. All bedrooms, lounge, laundry, dining and outdoor entertainment areas are fully furnished and the property has both heating and cooling air-conditioning. Each bed room is fitted with a modern ceiling fan and the outside of the property has security roller shutters. 3 bedrooms available for both short and long-term living arrangements. Undercover and secured garage Parking is available. 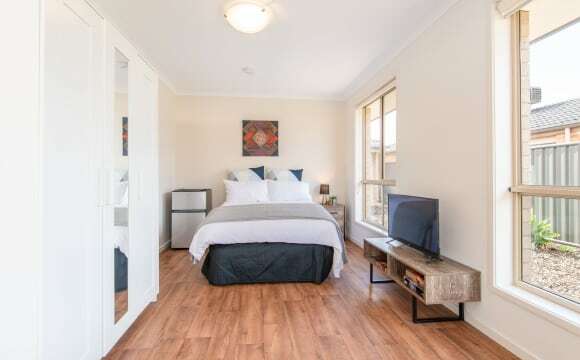 I have both a furnished room with a double bed or you can bring your own furniture, built in mirrored wardrobes to both rooms and ducted aircon. You will have access to your own bathroom with bathtub. Downstairs is the kitchen and living area, which are fully equipped. I have Netflix, Stan and unlimited internet so plenty to do entertainment wise. As it is a townhouse there is a small courtyard area out the back. 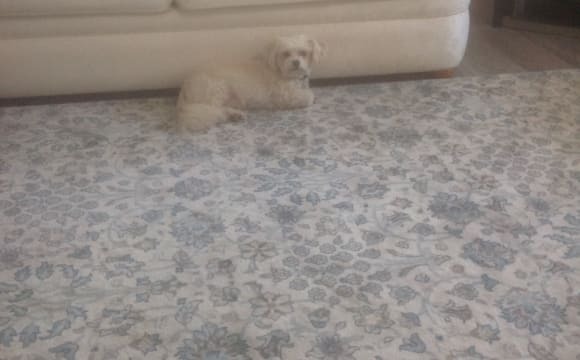 I have 2 indoor cats, but they are both very friendly and clean. New, clean house. Close to shops and train. 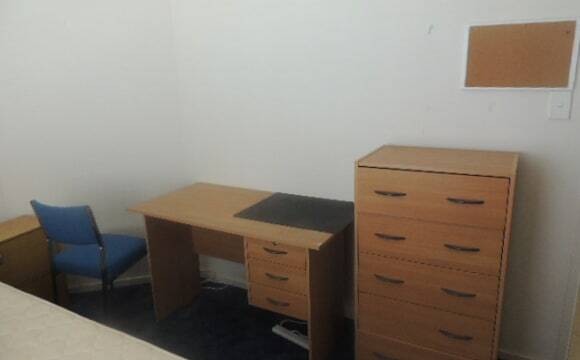 Fully furnished room with double bed, wardrobe and cupboard. Laundry and cooking, full ducted heating and air conditioning. Rent will include all bills and internet charges.